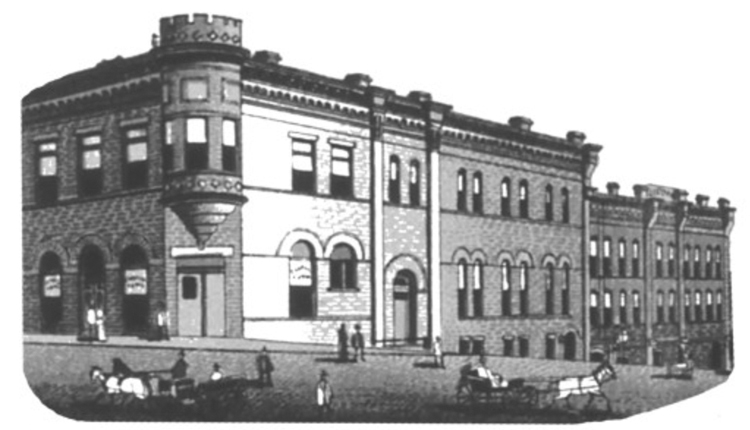 In 1883 Dr. Samuel S. Walbank constructed the Walbank Building on the southeast corner of Superior Street and Garfield Avenue. But Dr. Walbank didn’t really want a building block; he wanted a hotel. Records indicate that no businesses operated at the Walbank’s address until 1887 when the building opened as the Clarendon Hotel. Manager W. G. Knowles advertised the brick-veneered building as the only hotel on Rice’s Point. What now seems like an illogical location for a hotel made a lot of sense back in its day, especially after the Interstate Bridge to Superior opened in 1897. 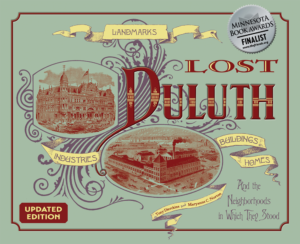 The bridge could only be accessed via Garfield Avenue, and soon the intersection of Superior Street, Garfield Avenue, and Piedmont Avenue just outside the Clarendon’s doors became the busiest in Duluth. Still, the hotel closed about 1900. In 1903 Louis Loeb purchased the building, had it remodeled and refurnished, and reopened it as the New Clarendon. By 1932 the hotel stood vacant; it was condemned in 1938 and demolished in 1942. A much wider Garfield Avenue now covers the hotel’s lot.